We believe that people should be involved in running their communities. We are determined to strengthen the democratic process and ensure that there is a just and representative system of government with effective Parliamentary institutions, freedom of information, decisions taken at the lowest practicable level and a fair voting system for all elections. We will at all times defend the right to speak, write, worship, associate and vote freely, and we will protect the right of citizens to enjoy privacy in their own lives and homes. We believe that sovereignty rests with the people and that authority in a democracy derives from the people. We therefore acknowledge their right to determine the form of government best suited to their needs and commit ourselves to the promotion of a democratic federal framework within which as much power as feasible is exercised by the nations and regions of the United Kingdom. We similarly commit ourselves to the promotion of a flourishing system of democratic local government in which decisions are taken and services delivered at the most local level which is viable. Our responsibility for justice and liberty cannot be confined by national boundaries; we are committed to fight poverty, oppression, hunger, ignorance, disease and aggression wherever they occur and to promote the free movement of ideas, people, goods and services. Setting aside national sovereignty when necessary, we will work with other countries towards an equitable and peaceful international order and a durable system of common security. Within the European Community we affirm the values of federalism and integration and work for unity based on these principles. We will contribute to the process of peace and disarmament, the elimination of world poverty and the collective safeguarding of democracy by playing a full and constructive role in international organisations which share similar aims and objectives. Equality - At the core of Liberal Democrats philosophy is a belief in equality of opportunity. Fighting discrimination in all its forms underpins our policies. Helping people to help themselves is what the Liberal Democrat approach is all about. 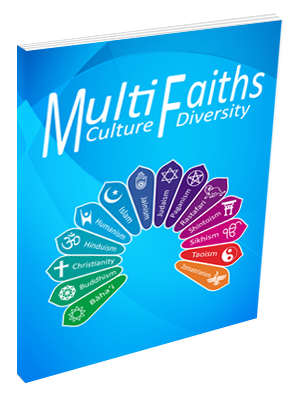 Britain today is a multi-ethnic, multi-faith, diverse society. It is a richer society as a result - culturally, socially and economically. Liberal Democrats embrace and celebrate a diverse Britain. We also recognise that the experiences of individuals varies enormously according to their overall combination of circumstances - whether they are male, female, rich, poor, heterosexual or gay, of black descent, Asian descent or Chinese descent, and we are sensitive to these many differences. We will ensure that our laws reflect that diversity, protecting minorities from violence, discrimination and harassment and allowing everyone the freedom to live their lives. We also recognise that though they are not a minority, women continue to receive a raw deal, whether its by being paid less than their male colleagues at work or suffering poverty when they retire because of career breaks to raise children or care for relatives. 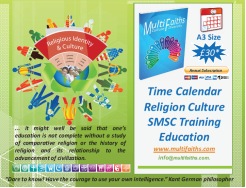 Ethnic Minorities - Britain today is a multi-ethnic, multi-faith, diverse society. It is a richer society as a result - culturally, socially and economically. The Liberal Democrats embrace and celebrate a diverse Britain. We also recognise that the experiences of ethnic minorities differ depending on whether they are male, female, rich, poor, heterosexual, of black descent, Asian descent or Chinese descent, and we are sensitive to these many differences. We will ensure that our laws reflect that diversity, protecting minorities from violence, discrimination and harassment and allowing everyone the freedom to live their lives. Labour can no longer lay exclusive claim to the votes of Britain’s ethnic minorities. The Liberal Democrats are the leading proponents of policies which call for tolerance and respect for human rights, both at home and abroad. We have refused to join the other parties on their dangerous competition with anti-immigrant rhetoric that does little to actually promote a sensible immigration policy. We will promote a balanced approach to tackling terrorism which means tackling the breeding grounds of terrorism – inequality, extremism and oppression. We will also work hard to promote positive examples of the many contributions ethnic minorities have made to this country such as in the health service, in construction and in driving forward small businesses and entrepreneurship. We will not engage in stigmatising whole communities by headline chasing on issues of ‘honour’, gun and knife crime. Read the full policy briefing for Ethnic Minorities. Diversity "The Liberal Democrats exist to build and safeguard a fair, free and open society, in which we seek to balance the fundamental values of liberty, equality and community, and in which no-one shall be enslaved by poverty, ignorance or conformity. We champion the freedom, dignity and well-being of individuals, we acknowledge and respect their right to freedom of conscience and their right to develop their talents to the full. We aim to disperse power, to foster diversity and to nurture creativity." The Liberal Democrats are committed to increasing diversity throughout the party. We have a range of well-established organisations which work hard to represent the values and empower all members of our diverse society. You can find out more about the work these groups do below. Diversity Engagement Group - The Diversity Engagement Group (DEG) is chaired by Deputy Leader of the Liberal Democrats and Shadow Chancellor, Dr Vince Cable and demonstrates the commitment the party has to becoming more representative of British society. DEG is in place to specifically increase the number of candidates and members from diverse backgrounds. The Campaign for Gender Balance is the Liberal Democrat party initiative to address the under-representation of women within the Parliamentary Party. It provides encouragement and support for women standing, and considering standing, for Parliament through a range of training, mentoring and support activities. This has proved successful in increasing the total number of women candidates in the party and, significantly, those selected for winnable seats. EMLD exists to develop the education, participation and representation of ethnic minorities and others within the party. LDDA works within the party to raise both understanding of disability and awareness of what disability is. DELGA is the officially recognised party organisation committed to promoting the policies of the party to gay men, lesbians, bisexuals and transgender people, and to ensure that the party's policies address their needs. WLD is the party's official women's organisation and is open to all party members. Diversity Unit - The Diversity Unit includes Diversity Advisers, Issan Ghanzi and Vicky Booth who both work internally to provide a strategic plan to increase diversity, BME and Specialist Media Press Officer Diana Yeboah promotes and supports this work.